Develop a savings mindset with food and drink – a bottle of water here, a friday night takeaway there – they might seem inconsequential when you’re treating yourself or making life more convenient, but these are the small moments of spending that can mount up before you realise. Instead of taking bottled water to work every day, take tap water in a refillable container and you could save yourself around £10 a week. Replace takeaways with ‘fakeaways’ – such as making your own pizza rather than ordering from your local delivery service – could also save you a considerable amount in the long run. Keep making student loan payments to yourself – once you’ve finished paying your student loan off, it might be tempting to see the extra money you have each month as a nice little bonus. But if you haven’t needed that amount when you were paying off your loan, you’re unlikely to need it readily available after you’ve finished. Making the same monthly instalments into a pension or savings account after your final student loan payment will help you in the future in a way that won’t impact on your financial situation now. 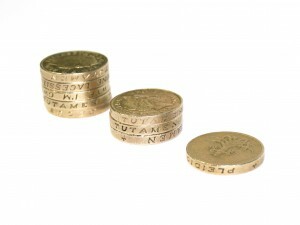 Earn cashback when you spend online – cashback accounts, such as Quidco or Topcashback, have existed online for some time. They’re a great way to earn yourself a little something back every time you make an online purchase with very little effort. Simply search for the site you want to make a purchase on through the cashback website – if it’s there, click the link to make your purchase and earn some money back. Most major online retailers – as well as a great many more specialist ones – are on there, so the pennies and pounds will soon mount up.